Love it! I want to be that young again!! 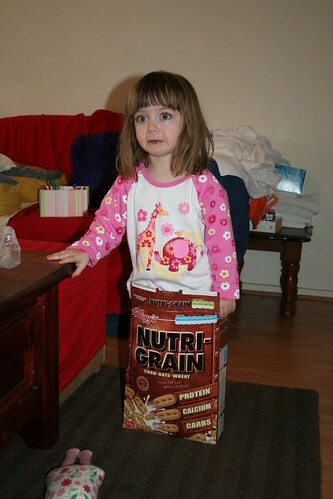 hahaha, if I buy a box of nutrigrain, will I get an Abbey prize too?! This one makes me laugh out loud! So very cute. This photo is absolutely priceless!! One to bring out to embarrass on her 21st for sure! Wow.. Now that's the coolest prize I've ever seen come out of a cereal box !! I like to Pin too. Yes, I do tweet. Occasionally.